Listen, it’s ok to buy things that make your life easier. Have your groceries delivered. Order the latest trendy boxes of healthy, prepared meals. You work hard and you deserve to skip zoning out in the produce section after a sixteen-hour day. 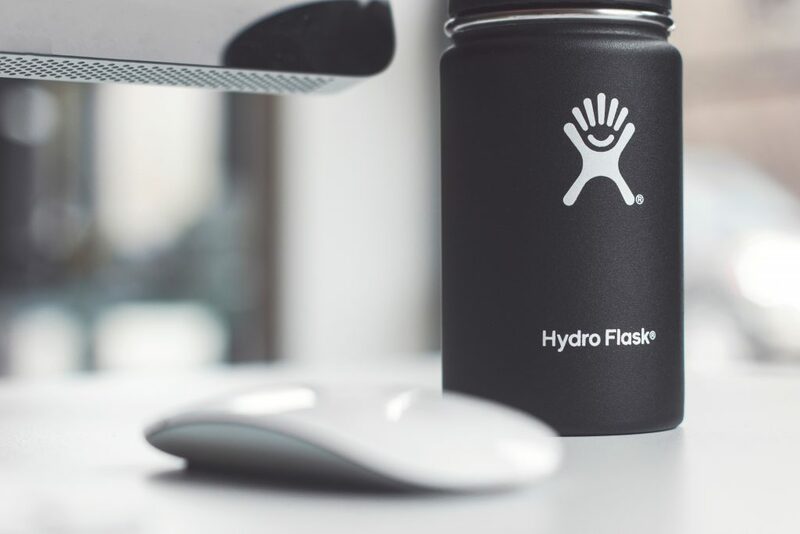 Hydro Flasks come in all shapes and sizes from 16-64 oz. Need a turquoise Hydro Flask for wine? Small coffee cup? Reservoir for water? They’re made out of stainless steel, vacuum-sealed, with a color wheel ranging from ‘icy cool’ to ‘piping hot.’ They beat other brands hands-down in temperature control. We’ve left one in the car overnight to find ice still in-tact the next morning: in September, in Arizona! They’re also used like car bumpers to broadcast all sorts of beliefs by adorning stickers. Last year, the Diva Cup was our honorable period champion. This year: Thinx. Yep, they’re a little expensive. Want to know what else is expensive? Buying tampons, pads, cups, sponges, whatever else is on the market for blood absorption every single month for several decades. Three pairs will last you, at least two years, if properly handled. Their website offers a guide for men to understand menstruation. Their mission also includes awareness, education and empowerment regarding reproductive health and human rights. Yes, please. We like Google Docs for collaborative projects. Each person can import, update, edit, comment and re-share the document as it is updated. This is our go-to for pretty much everything at Javelina and for other businesses who value collaboration. You can use Smartsheet for similar reasons, accessibility and team efforts, and it, too, lives in the cloud. It also has plenty of features that helps it stand out from Excel. Everyone needs a budget. Why are budgets so hard? We love when a product saves us time, money and madness. YNAB takes into consideration the proximity of holidays and upcoming bills and helps you prepare at least a month out with your cash. Did you hear that? Proximity of holidays. It provides goal-tracking, personal support and methods to measure your success. Sometimes you need to spend $450 on an electronic litter box that sends you updates of waste percentages and monitors your cat’s every bowel movement. Maybe little Caspian has had an upset belly and his litter box frequency is indicative of a greater problem. Who knows! Maybe you don’t want to smell that litter box smell at all because nobody in the history of ever has ever liked the smell of dirty litter. Can you afford most of the other products listed today in lieu of the Litter Robot? Yes, but no judgment. You do you. Maybe it’s the weather, but a bunch of people raised their hands to shout “Crock-Pot!” when we asked about products this year. From an all-day roast to barbeque jackfruit, you can throw what you need into the Crock-Pot on your way out the door in the morning and return to dinner mostly finished by the time you return. It saves money by using less electricity than your oven and allows you to buy cheaper cuts of meat because they tenderize throughout the afternoon or overnight. You can make sweet potato lentils, chicken soup or most recipes ending in “casserole.” Plus, this is just one of those products that makes you feel good about saving time because you’re literally slowing the process of something down. Well played, Crock-Pot. Let us tell you, eating healthy is way easier with a spiralizer. A zucchini replaces that pound of spaghetti, only needs a quick pan sear, splash of olive oil and sea salt. It doesn’t need to be a fancy Kitchenaid extension, either. Eating well is an act of kindness toward your body. We forget sometimes, too. We’re busy changing the world, so string cheese. Dental work is expensive, no matter who you are or what insurance you do or do not have. An alternative to traditional, metal braces is Invisalign. They are invisible, plastic, retainer-like mouth trays. They’re invisible and you can have braces as an adult without anyone knowing. Do you eat on the run? You take Invisalign out when you eat, so you don’t get a bunch of food stuck in your braces during that lunch meeting. Your dental visits will be lower than if you had actual braces. Your cheeks won’t get cut up. Don’t have the best flossing habits? Invisalign eliminates the necessity of flossing around wires. Whatever products make your lives easier, enjoy them. You’re allowed to have an electronic cat litter box. You’re allowed to make dinner the night before and see what happens in the Crock-Pot. Having a Hydro Flask helps when you forget your coffee in the car or go long periods of time without a water refill. Choosing a product that makes your life easier can also mean saving money (thank you, spiralizer). Whatever it is, share it with people you love. We all need suggestions to help make our lives easier while changing the world. What are some of your favorite products? Let us know on our Facebook or Twitter.